Cecilia Fox | AIM Media Emma Havenar, 6, of Newberry Township, won champion showman. Cecilia Fox | AIM Media Paige Pence of New Carlisle won Grand Champion FFA crop for single stalk of corn and Reserve Champion Crop for five stalks of soybeans. She is a member of Miami East FFA. Cecilia Fox | AIM Media Paige Pence of New Carlisle was the champion intermediate beef showman. She is a member of Miami East FFA. Cecilia Fox | AIM Media Sam Durst of Sidney was the Champion Men’s Adult Showmanship in the swine category. Cecilia Fox | AIM Media Samantha Durst, 7, of Sidney was the 7-year-old division Swine Showmanship Champion. 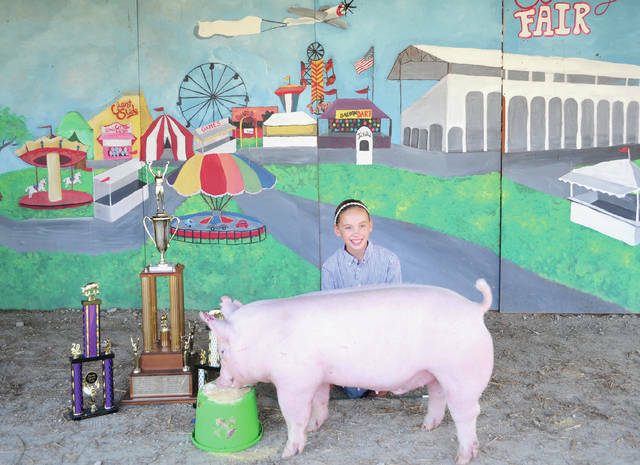 Cecilia Fox | AIM Media Rhylee Eichhorn, 11, of Troy was the Swine Showman of Showman. She is a member of the Frisky Critters 4-H Club. Cecilia Fox | AIM Media Ava Brown of Troy won the Reserve Champion SR Buck, Holland Lop. She is a member of the Bethel Bunnies. Cecilia Fox | AIM Media Eli Petry, 10, of Monroe Township, won Grand Champion Shropshire Ram Lamb and Reserve Champion Ram overall breeds. He is a member of Premier Livestock 4-H Club. Cecilia Fox | AIM Media Lauryn Lavy (left, with rabbit), age 18, of Laura, won Grand Champion Doe. She is a member of Newton Blue Ribbon. Cecilia Fox | AIM Media Shelby Petry of Covington won Supreme Champion Shropshire Ewe. She is a member of Premier Livestock 4-H Club. Cecilia Fox | AIM Media Kamron Paulus, 19, of West Milton, won Champion Dorset Ewe. He is a member of UTMP. Cecilia Fox | AIM Media Kamron Paulus, 19, of West Milton, won Champion Natural Colored Ram and Supreme Champion Ram. He is a member of UTMP. Cecilia Fox | AIM Media Kamron Paulus, 19, of West Milton, won Champion Natural Colored Ewe. He is a member of UTMP. Cecilia Fox | AIM Media Kamron Paulus, 19, of West Milton, won Grand Champion Market Duck. He is a member of UTMP. Emma Havenar, 6, of Newberry Township, won champion showman. Paige Pence of New Carlisle won Grand Champion FFA crop for single stalk of corn and Reserve Champion Crop for five stalks of soybeans. She is a member of Miami East FFA. Paige Pence of New Carlisle was the champion intermediate beef showman. She is a member of Miami East FFA. Sam Durst of Sidney was the Champion Men’s Adult Showmanship in the swine category. Samantha Durst, 7, of Sidney was the 7-year-old division Swine Showmanship Champion. Rhylee Eichhorn, 11, of Troy was the Swine Showman of Showman. She is a member of the Frisky Critters 4-H Club. Ava Brown of Troy won the Reserve Champion SR Buck, Holland Lop. She is a member of the Bethel Bunnies. 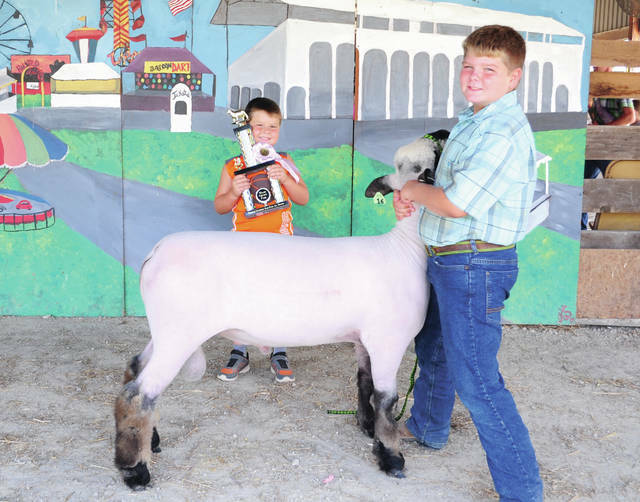 Eli Petry, 10, of Monroe Township, won Grand Champion Shropshire Ram Lamb and Reserve Champion Ram overall breeds. He is a member of Premier Livestock 4-H Club. Lauryn Lavy (left, with rabbit), age 18, of Laura, won Grand Champion Doe. She is a member of Newton Blue Ribbon. Shelby Petry of Covington won Supreme Champion Shropshire Ewe. She is a member of Premier Livestock 4-H Club. Kamron Paulus, 19, of West Milton, won Champion Dorset Ewe. He is a member of UTMP. Kamron Paulus, 19, of West Milton, won Champion Natural Colored Ram and Supreme Champion Ram. He is a member of UTMP. 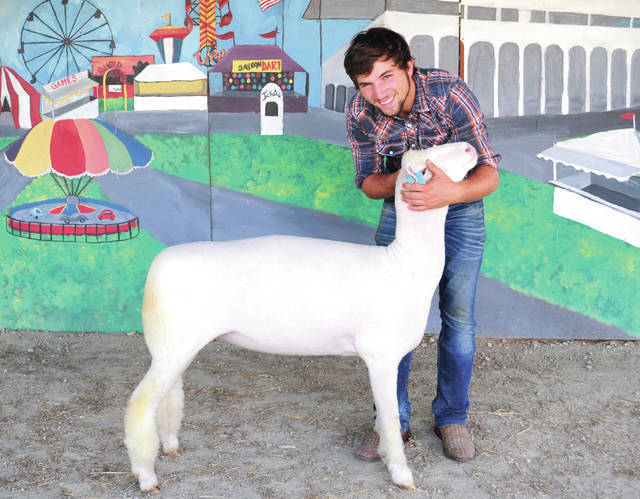 Kamron Paulus, 19, of West Milton, won Champion Natural Colored Ewe. He is a member of UTMP. 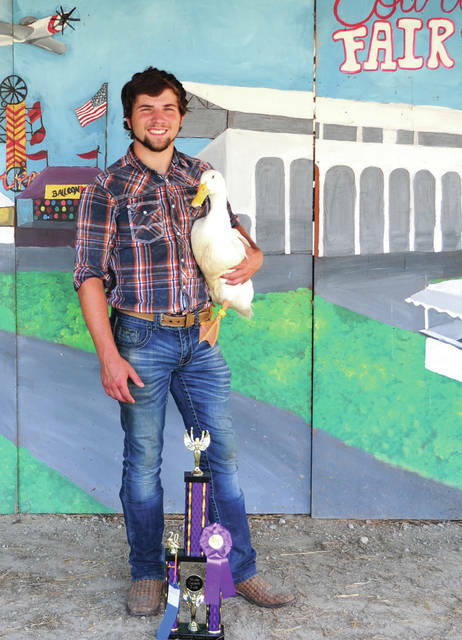 Kamron Paulus, 19, of West Milton, won Grand Champion Market Duck. He is a member of UTMP. 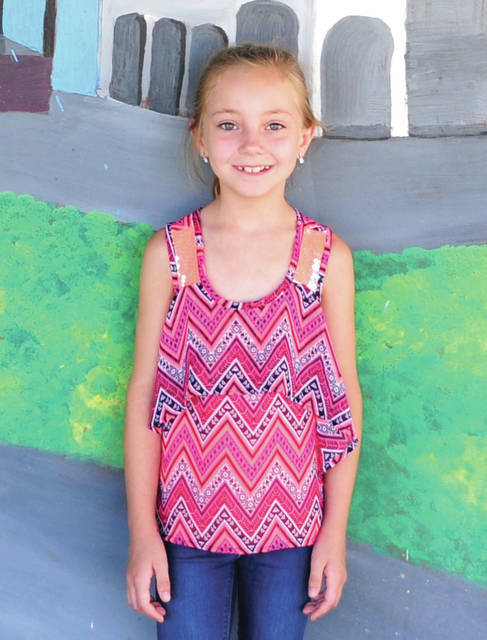 https://www.weeklyrecordherald.com/wp-content/uploads/sites/51/2018/08/web1_Emma-Havenar.jpgCecilia Fox | AIM Media Emma Havenar, 6, of Newberry Township, won champion showman. 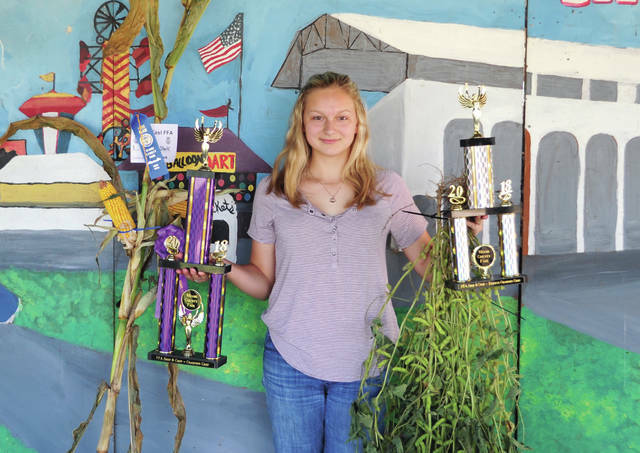 https://www.weeklyrecordherald.com/wp-content/uploads/sites/51/2018/08/web1_Paige-Pence.jpgCecilia Fox | AIM Media Paige Pence of New Carlisle won Grand Champion FFA crop for single stalk of corn and Reserve Champion Crop for five stalks of soybeans. She is a member of Miami East FFA. 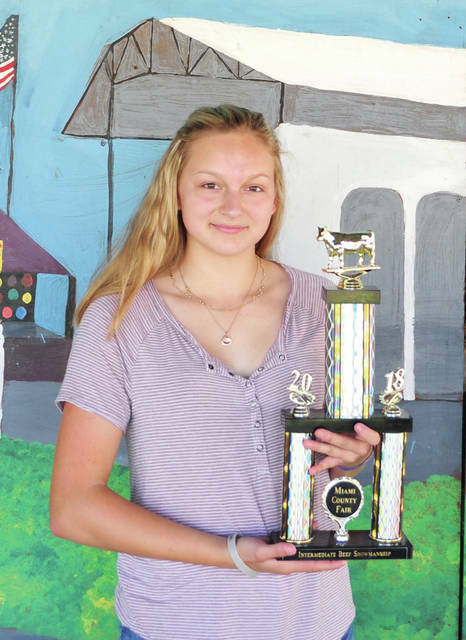 https://www.weeklyrecordherald.com/wp-content/uploads/sites/51/2018/08/web1_Paige-Pence2.jpgCecilia Fox | AIM Media Paige Pence of New Carlisle was the champion intermediate beef showman. She is a member of Miami East FFA. 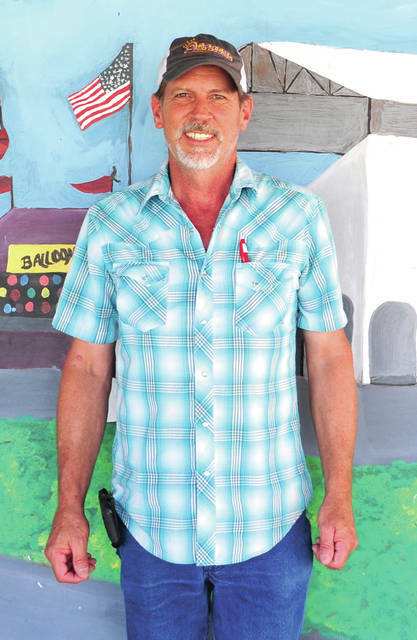 https://www.weeklyrecordherald.com/wp-content/uploads/sites/51/2018/08/web1_Sam-Durst.jpgCecilia Fox | AIM Media Sam Durst of Sidney was the Champion Men’s Adult Showmanship in the swine category. 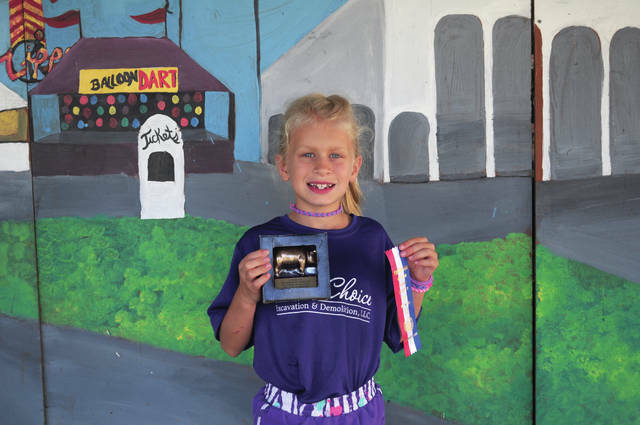 https://www.weeklyrecordherald.com/wp-content/uploads/sites/51/2018/08/web1_Samantha-Durst.jpgCecilia Fox | AIM Media Samantha Durst, 7, of Sidney was the 7-year-old division Swine Showmanship Champion. https://www.weeklyrecordherald.com/wp-content/uploads/sites/51/2018/08/web1_Rhylee-Eichhorn.jpgCecilia Fox | AIM Media Rhylee Eichhorn, 11, of Troy was the Swine Showman of Showman. She is a member of the Frisky Critters 4-H Club. 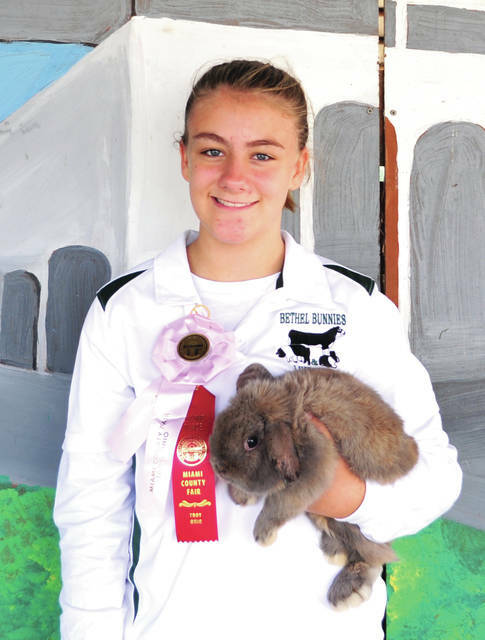 https://www.weeklyrecordherald.com/wp-content/uploads/sites/51/2018/08/web1_Ava-Brown.jpgCecilia Fox | AIM Media Ava Brown of Troy won the Reserve Champion SR Buck, Holland Lop. She is a member of the Bethel Bunnies. 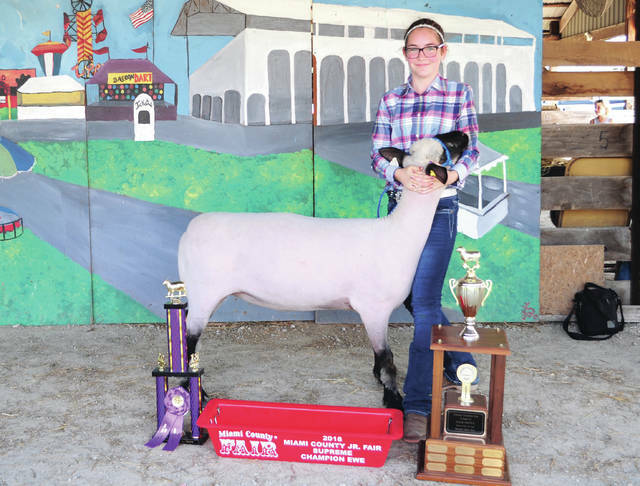 https://www.weeklyrecordherald.com/wp-content/uploads/sites/51/2018/08/web1_Eli-Petry.jpgCecilia Fox | AIM Media Eli Petry, 10, of Monroe Township, won Grand Champion Shropshire Ram Lamb and Reserve Champion Ram overall breeds. He is a member of Premier Livestock 4-H Club. 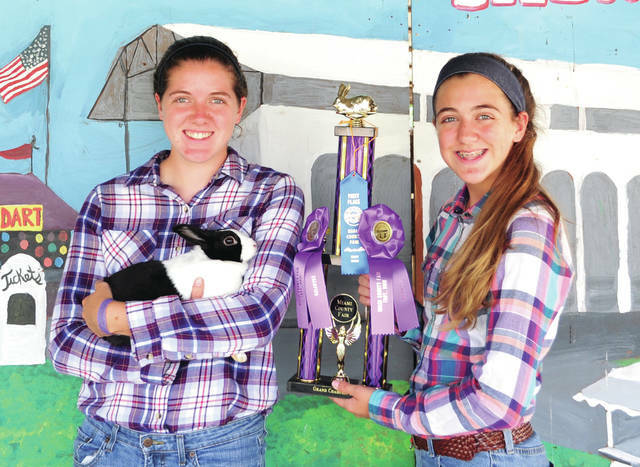 https://www.weeklyrecordherald.com/wp-content/uploads/sites/51/2018/08/web1_Lauryn-Lavy.jpgCecilia Fox | AIM Media Lauryn Lavy (left, with rabbit), age 18, of Laura, won Grand Champion Doe. She is a member of Newton Blue Ribbon. https://www.weeklyrecordherald.com/wp-content/uploads/sites/51/2018/08/web1_Shelby-Petry.jpgCecilia Fox | AIM Media Shelby Petry of Covington won Supreme Champion Shropshire Ewe. She is a member of Premier Livestock 4-H Club. https://www.weeklyrecordherald.com/wp-content/uploads/sites/51/2018/08/web1_Kamron-Paulus-1.jpgCecilia Fox | AIM Media Kamron Paulus, 19, of West Milton, won Champion Dorset Ewe. He is a member of UTMP. 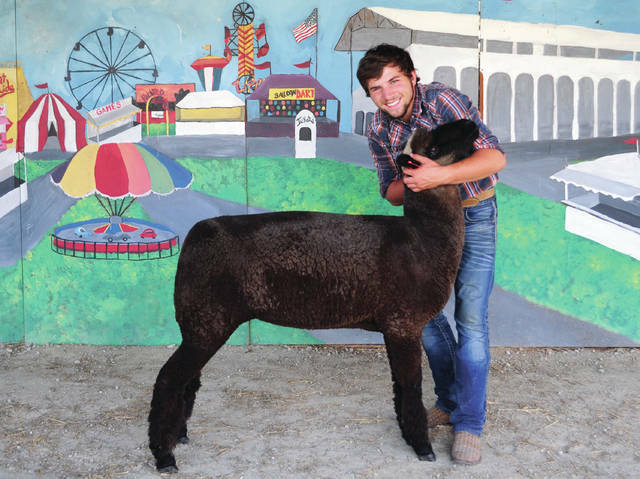 https://www.weeklyrecordherald.com/wp-content/uploads/sites/51/2018/08/web1_Kamron-Paulus-2.jpgCecilia Fox | AIM Media Kamron Paulus, 19, of West Milton, won Champion Natural Colored Ram and Supreme Champion Ram. He is a member of UTMP. 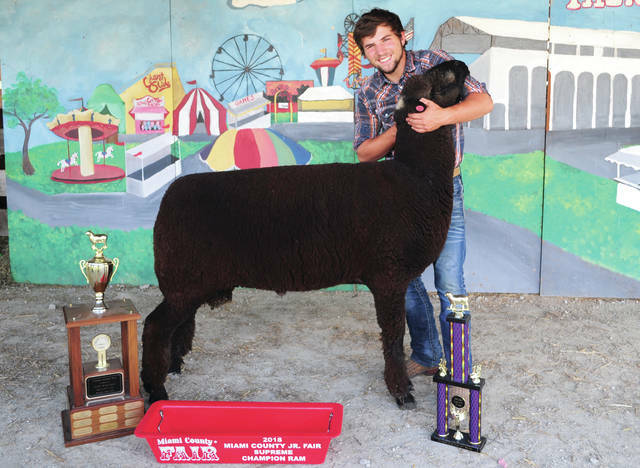 https://www.weeklyrecordherald.com/wp-content/uploads/sites/51/2018/08/web1_Kamron-Paulus-3.jpgCecilia Fox | AIM Media Kamron Paulus, 19, of West Milton, won Champion Natural Colored Ewe. He is a member of UTMP. https://www.weeklyrecordherald.com/wp-content/uploads/sites/51/2018/08/web1_Kamron-Paulus-4.jpgCecilia Fox | AIM Media Kamron Paulus, 19, of West Milton, won Grand Champion Market Duck. He is a member of UTMP.